With 28 cabins to choose from, your stay at the Ganges VoyagerⅡ is every bit of what a luxury vacation is meant to be. Offering 5 room categories, we make sure that your personal space for the journey is equipped with everything that you could possibly need. 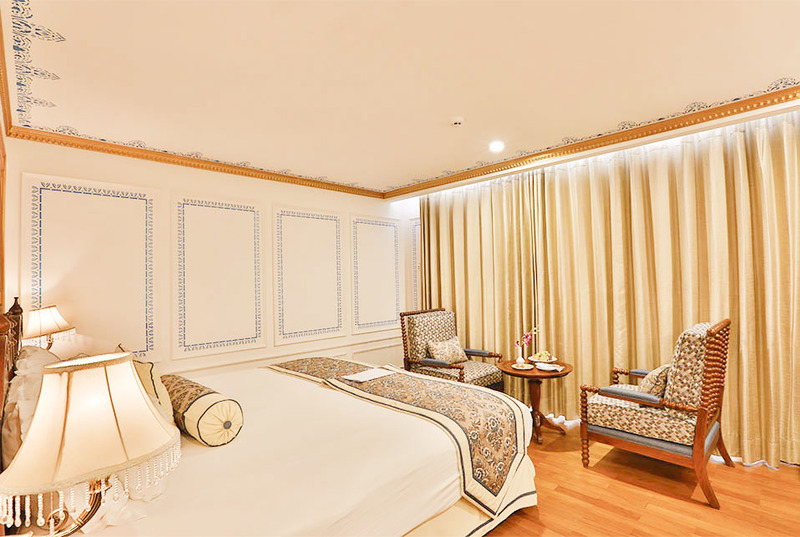 Our regal décor, balconies, bathrooms and all other amenities have an equal contribution in what we call the Ganges VoyagerⅡ experience. 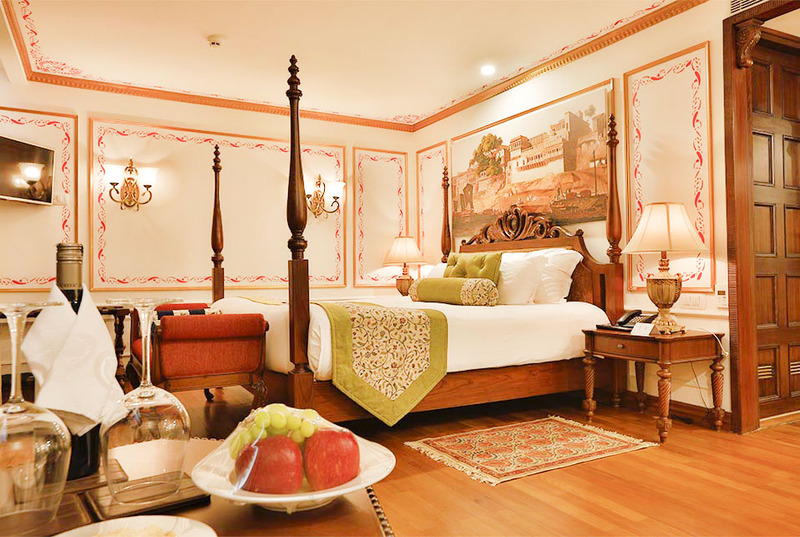 The Colonial Rooms are painted in vibrant and inviting colours with picturesque prints that uplift the mood. There is a comfortable seating area in the suite and also a beautiful French balcony. The bathrooms offer spacious showers with premium bath linens and toiletries. Our Signature Suite offers two styles of arrangements – 2 twin-size beds and 1 queen size-bed. It has a comfortable seating area and floor-to-ceiling glass doors to enjoy the view outside. 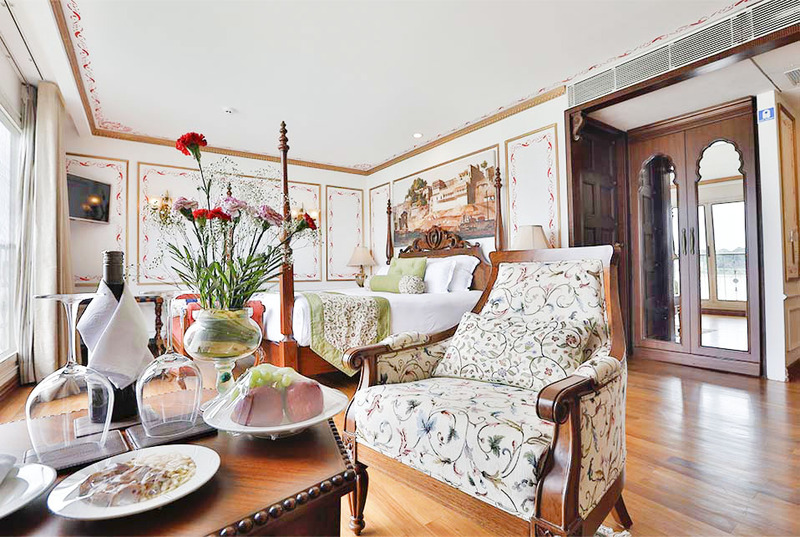 Decorated with hand-stencils, local murals and fine wood furniture, the suite is meticulously designed for comfort. Offering utmost privacy and comfort with a spacious French balcony to witness the panoramic views, Heritage Suite is a perfect retreat. 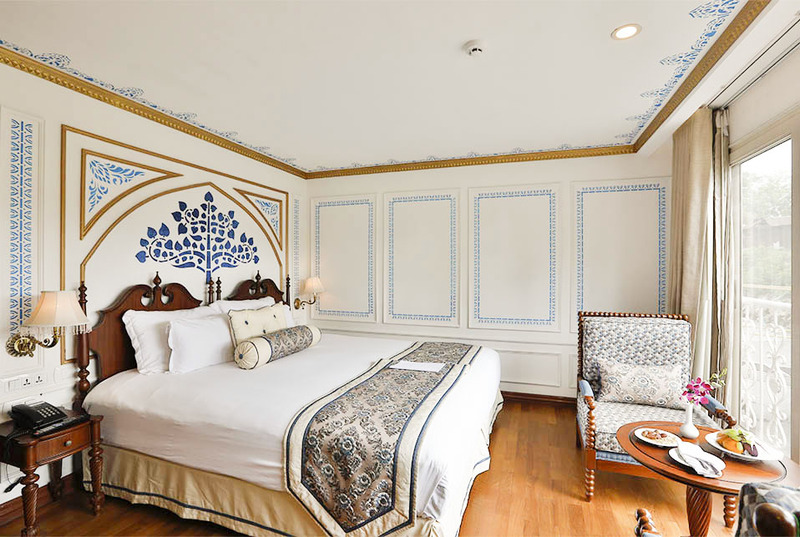 It is fitted with an exquisite four-poster bed, Persian rugs and floor-to-ceiling glass doors. The hand painted walls add to the charm of these suites. 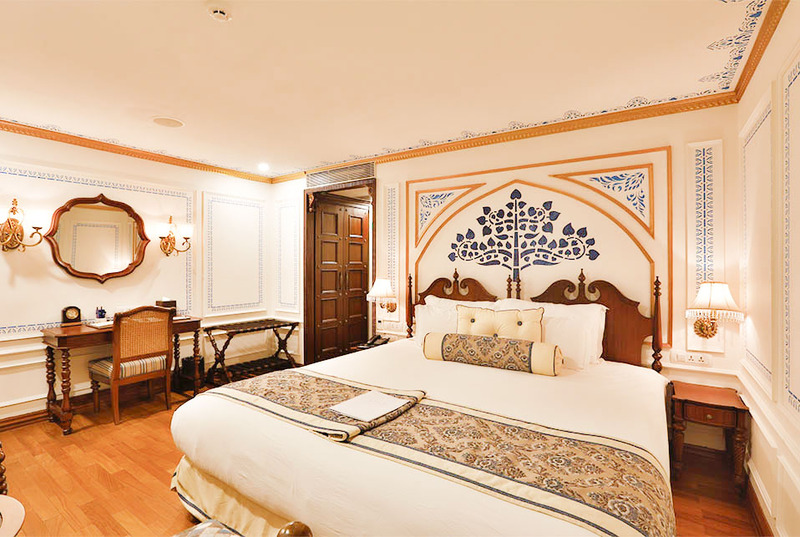 Regal and ornate, the Viceroy Suite is furnished with colonial decor, Persian rugs and hand-stencilled walls. It has more than 360 sq. ft. of living space, a finely crafted day bed and a spacious bathroom fitted with all modern amenities. The most luxurious and spacious suite aboard, with 400 sq. 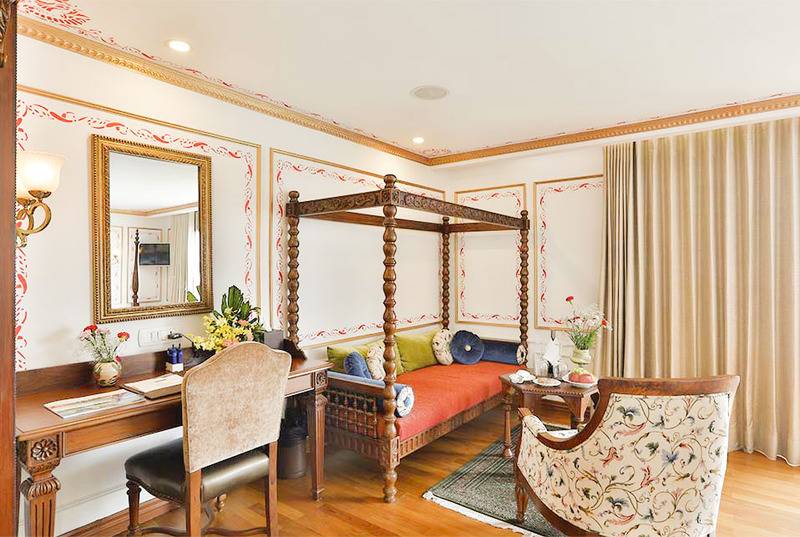 ft. of space, the Maharaja Suite is a haven of luxury. Embellished with Persian rugs, Burma teak floors and rich tapestry, it also has a flat screen TV, on-demand movie service, and a writing desk. Bathrooms are as luxurious as the room and are fitted with both spacious bathtub and shower panels. Daily butler service and in-room dining are also available on request.